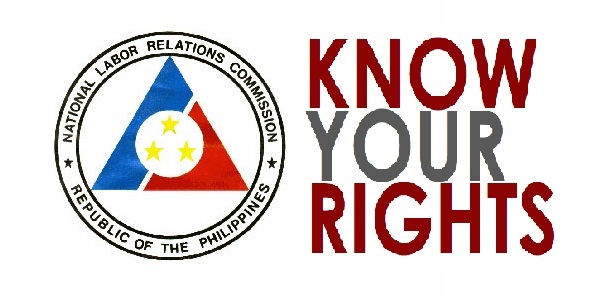 Philippines – The National Labor Relation Commission or NLRC is a government agencies and a subsequent part of the Department of Labor and Employment that helps to resolve, investigate and settle disputes between employees and employers. The commission was formed on June 6, 1899, implementing a contract labor law in the country. One of many basic rules of procedure under this organized commission is that when an employee is having an issue with his or her employer or company in which the employer or company is not giving the right compensation and benefits to their employee? The employee or employees can escalate their problems at NLRC to properly assist their issue against their employer or company and as much as possible the agency will resolve and settle the disputes between employees and employers or company. · Employment contract - violated agreement between an employer and employee that sets out terms and conditions of employment. · Employment discrimination - discrimination based on race, gender, religion, national origin, physical or mental disability, and age by employers. · Pension and benefits – violated benefits that should an employee must properly receive. · Sexual harassment – harassment in a workplace involving the making of unwanted sexual advances or obscene remarks. · Wages and overtime pay – violated wages and overtime pay. · Workplace disputes - Conflicts at work take many forms. It might be an individual with a grievance, a problem between an employee and a manager or conflict between two co-workers. · Wrongful termination - is a legal phrase, describing a situation in which an employee's contract of employment has been terminated by the employer if the termination breaches one or more terms of the contract of employment. So, if you are an employee of this country whether you are a regular employee or contractual employee you must see to it that you know your rights about Employment Law Issue? so that abusive employer or company must abide the rules and regulation about labor code or be punish by the law. 1 comment to ''How to File Complain at NLRC against Employer’s"
It's really cool that such organization exists. Nowadays there are a lot of unresolved issues,controversies in the workplace. Such organizations help to find the right solution in disputes between the employer and the worker. Also I can recommend one more service, which can help you with job placement. <a href="https://resumescentre.com/write-my-resume>ResumesCentre.com</a> is the best solution for your perfect resume.